“No one asks this of the Tims, Johns and Harrys of the world. No one asks this of the Megans, Kaitlins and Sallys," said a young Latina about AOC's name. 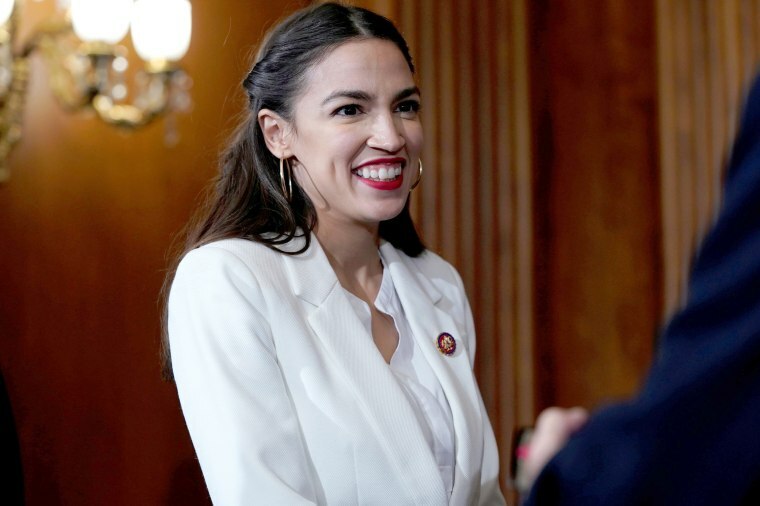 Rep. Alexandria Ocasio-Cortez's Hispanic name, and the way she pronounces it, has led to a spirited debate about Spanish vs. English accents and being too "Latino" — an age-old debate that U.S. Hispanics know all too well. It began with a recent Fox News segment. DiGenova — who was once in the running to be President Donald Trump’s lawyer — responded, “She does the Latina thing where she does her, you know, ‘Anastasio Ocasio-Cortez,’” misstating her name and using an exaggerated "rr" accent. He then performed an exaggerated Italian pronunciation of his own name. The next day, Ocasio-Cortez, who is of Puerto Rican heritage, had a comeback on Twitter. "Siri, show me the brand of ‘economic anxiety’ that mocks Americans of color as unintelligent + unskilled, while *also* mocking those same Americans for speaking more languages than you," she tweeted. She also tweeted that in Latino culture, children sometimes take both their parents’ names and that those who address her simply as “Cortez” are incorrect in doing so. While Ocasio-Cortez promises to continue introducing herself with a Spanish pronunciation, the pressure of assimilation and the near-constant bungling of Latino names by many English-speakers has caused many Hispanics to adjust the pronunciation of their names — or even change them completely. Nydia Flores, an associate professor in the Department of Spanish and Portuguese at Rutgers University’s Graduate School of Education, notes that “English-izing” Latino names has been happening for years and can be a personal choice. 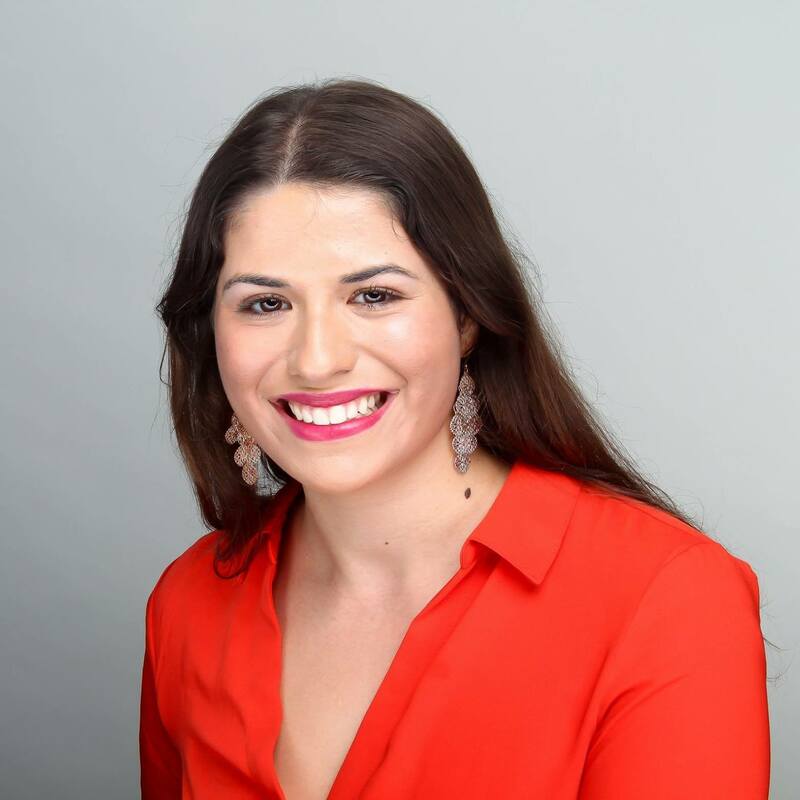 Darling Gutierrez, 23, who works as a paralegal, struggled with how to pronounce her name in a way that was more accessible for native English speakers. For a while she was changing the pronunciation of her last name to sound more English-sounding, making the "rr" like a soft "r," but then she stopped doing so after realizing her name would be butchered no matter how she said it. Flores argues that Ocasio-Cortez’s full name is an easy one to pronounce, given that Alexandria is a place in Virginia, Ocasio follows a vowel-consonant structure (oh-CAH-see-oh) and Cortez contains the word court — a word that is spoken regularly in the English language. Names as weapons in the culture wars? Ramón Antonio Martínez, an associate professor of race and education at Stanford University’s Graduate School of Education, thinks that mispronouncing and making an issue around Ocasio-Cortez’s name — as was the case in the Fox News segment — is a specific way of weaponizing one of her most personal aspects, as well as an attempt to diminish her power and erase her identity. “It’s a strange concept, that someone could get flagged for doing something out of the ordinary by doing one of the most ordinary, quotidian things — pronouncing her own name,” said Martínez. While the way the congresswoman pronounces her name appears to be a petty criticism, such criticism indicates that Ocasio-Cortez remains a continued political target, Martínez thinks. José del Valle, a professor of Latin American, Iberian and Latino Cultures at The Graduate Center of the City University of New York, suggested that this is the intention of individuals who mispronounce or mock Latino names: to deny the possibility for Latinos to be viewed as American. “The argument that if you speak and act American (whatever that means), you'll be rewarded, is spurious,” del Valle said in an email to NBC News. “If a Latina/o is perceived as such, they will in all likelihood also be perceived as having an accent and, therefore, as being a threat to the nation’s identity. Is AOC the media's easy way out? Rutgers University's Flores attributes the mispronunciation of the congresswoman’s name — for example, only saying Cortez instead of Ocasio-Cortez — to people not putting in the effort to correctly pronouncing Latino or more ethnic names. But it's not only the mispronunciation of Ocasio-Cortez’s name that Flores sees as problematic, but the constant abbreviation of her name. The congresswoman does not have any issues with that, though, telling people on Twitter that she's not just Cortez; she's Ocasio-Cortez, or they can just call her AOC. Opting for an easier name rings familiar to some Latinos, including Sarah Funes, 27, a sales associate at Apple. She didn't always go by Sarah; her birth name was Mayra (pronounced MAI'-rah). But she decided to change it when she was 16, in large part because people kept mangling the correct way to say it. Whether the mispronunciation is intended or not, Funes says it makes people “feel ashamed” about who they are. “No one asks this of the Tims, Johns and Harrys of the world. No one asks this of the Megans, Kaitlins and Sallys of the world,” Funes said. To make Latinos feel like they "don't belong here, is unacceptable."